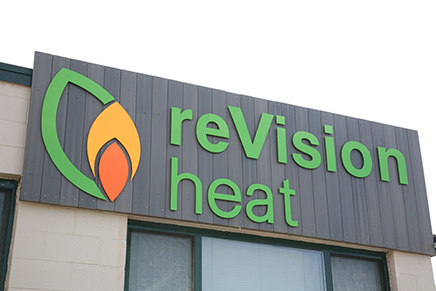 Nava Signs specializes in acrylic, aluminum, and plastic letters and signs for walls and signs in any font and size. Design acrylic letters online with our acrylic letter designer and order in seconds, or send us your logo and describe your sign, and we'll answer your questions and provide a quote. Signs made of Acrylic, PVC, Plexiglass and other plastics. Aluminum, Metal, and faux-metal sign letters. Wall-mount signs for lobbies, offices, interior/exterior use. Printed vinyl signs for precise color matching and detail. Many metal styles, plexiglass colors, and acrylics to choose from. 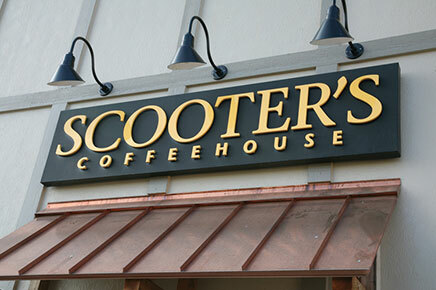 By using lightweight plastic-core materials with aluminum overlays, your letters remain lightweight and inexpensive, while retaining the appearance of brushed aluminum or any other finish on your signage, individual letters, or company logo. Layers of PVC plastic or plexiglass can be used to create 3D signs. We also print full-color graphics that can be applied to your metal or plastic sign face in the case of gradients or color logos that cannot be represented using solid colors. Whatever your budget, there are many options available for impressive interior or exterior plastic signage. Aside from laser cutting acrylic or plexiglass for office walls, lobbies, directory signs, or other interior and exterior signage, we can also CNC cut aluminum panels and individual letters. These letters may be solid aluminum or a lightweight plastic letters with a thin metal overlay. What is the difference between signs and letters? Letters indicates individually-cut letters. This means that each letter will be separately mounted to the wall. These are very classy and elegant, often used in lobbies, office walls, or conference rooms. The letters can be cut from plastic, acrylic, PVC, aluminum, or other metals. The word sign generally refers to a single-piece sign. An example is a 5' wide × 3' tall clear acrylic panel with vinyl decals applied to it. There is only one piece to mount when hanging this sign panel. A sign panel can be plastic or metal, and the decorations on it (the logos and letters) can also plastic or metal, or may simply be vinyl graphics (which is less expensive). Letters require more detailed work to cut each individual shape, so sign panels are often less expensive. If you are considering individual letters but do not want to mount each one separately, we can create a two-layer sign with individual letters already mounted on the panel for you, which makes installation a snap. How do you hang these signs or letters? Signs that are one single piece or panel can be mounted with adhesives or standoff hardware. One popular option is our brushed aluminum standoffs, which provide a 3D appearance by allowing the sign face to "hover" about an inch from the wall. Installation takes a matter of minutes with this hardware, and usually requires only four screws in the destination wall or surface. Letters must be properly aligned, which can be done with a template. Each letter can then be positioned on the wall or surface and mounted with a suitable adhesive that will bond to both the surface and the letter material. In some circumstances, such as exterior application on masonry, the metal or plastic letters may have posts which will require holes drilled in the destination wall. Should I choose plastic or metal signs? There may be little difference in appearance between plastic and metal signs and letters. Many sign letters appear to be metal, but are in fact made of plastic core materials with a thin aluminum outer layer. The reality is that most observers will not know the difference, and in many cases, even a professional must examine a sign closely to determine whether it is plastic or metal. Acrylic letters provide a high-gloss, glassy finish in many different colors. PVC and HDU offer a durable product that is easy to install and less likely to crack. Aluminum and "metal" letters usually have a plastic core with a thin metal exterior. True metal letters are virtually indestructible, but more costly, and are often used for exterior applications. Nava Signs designs acrylic and metal signs to match any budget, from simple wall lettering to signs with full-color graphics. Now you can design acrylic letters in any font, color, and size and preview your creation instantly. 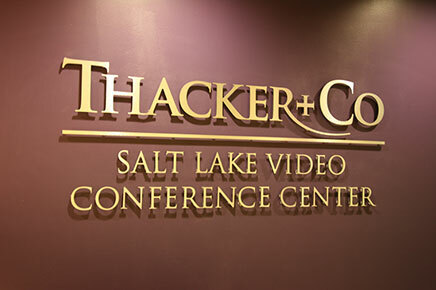 Order plastic sign letters for conference rooms, office lobbies, waiting rooms, directional signs, and walls.